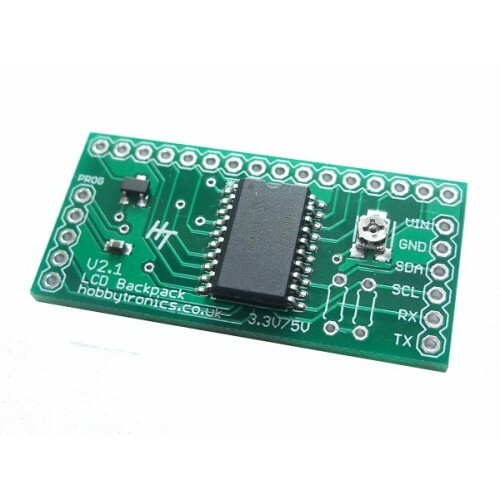 The Hobbytronics LCD Backpack is a useful little board that can be soldered onto the back of LCD’s that use the standard Hitachi HD44780 compatible interface. 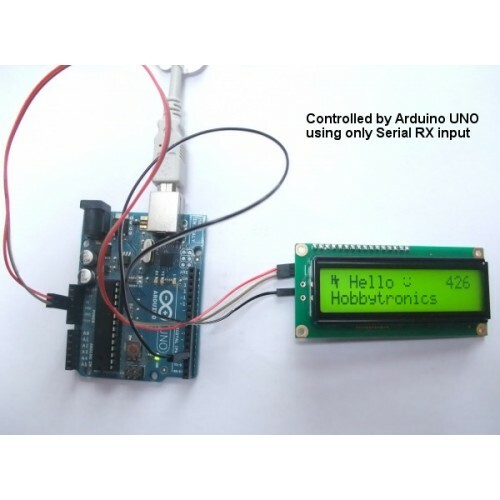 This allows the LCD (and backlight if fitted) to be controlled directly from a microcontroller using either the I2C interface or via a serial RX connection at baud rates from 2400 up to 115200. It contains a bootloader so the software can be updated. The latest version can be downloaded on the right. 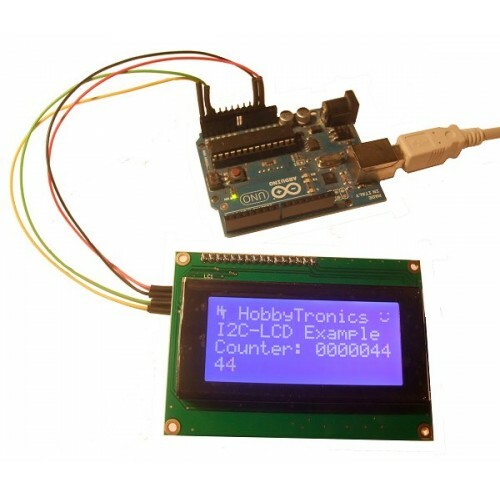 Allows the connection of multiple LCD displays to one microcontroller without additional pins. The backpack uses a 160 byte command buffer to alleviate any need for delays in your code. Send commands and data in a stream and the backpack will process them in order. Suitable for LCD’s with Hitachi HD44780 compatible interface without a backlight and for displays with common Anode LCD backlights. 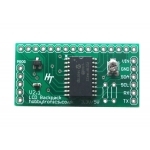 The LCD Backpack requires a suitable 5V or 3.3V supply (depending on the LCD display). This does not apply to the Serial connection however. 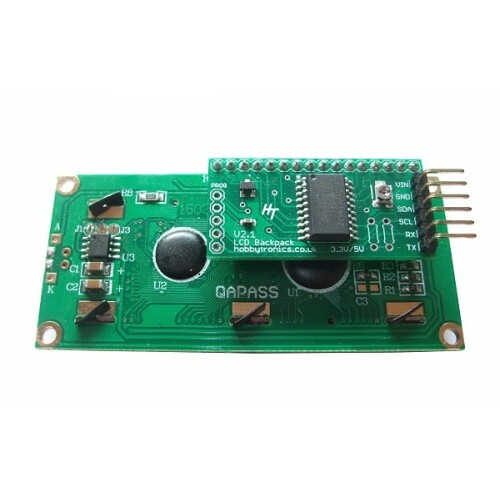 Because only the RX in pin of the backpack is used, this can be connected directly to the TX of a system running at 3.3V without any level shifting. 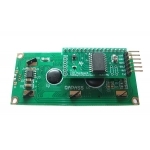 This makes it ideally suited to connecting directly to a Raspberry Pi for instance. Digital control of LCD backlight brightness with 250 brightness levels. LCD contrast set by trimmer potentiometer. The backpack comes complete with 16-way male header pins for connection to the LCD and a six pin right angle header for connection to a microcontroller. We have created a useful Arduino I2C Library to make using the backpack very easy and also have example code and a library file for the Hi-Tech C compiler. Conversion of these libraries to other languages should be straightforward.